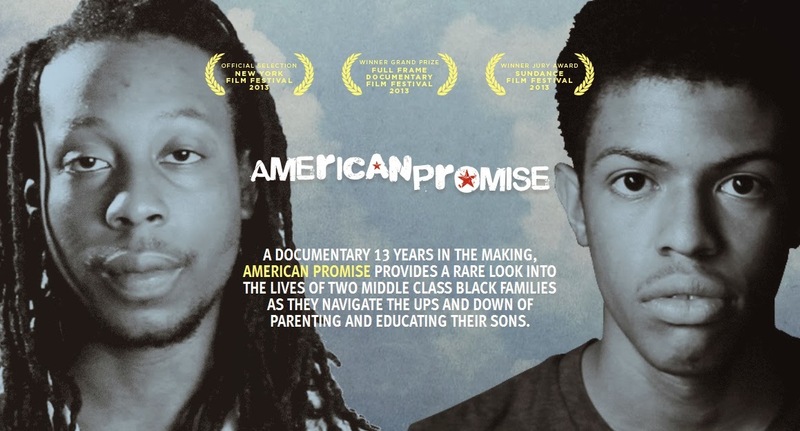 American Promise spans 13 years as Joe Brewster and Michèle Stephenson, middle-class African-American parents in Brooklyn, N.Y., turn their cameras on their son, Idris, and his best friend, Seun, who make their way through Dalton, one of the most prestigious private schools in the country. Chronicling the boys' divergent paths from kindergarten through high school graduation, this provocative, intimate documentary presents complicated truths about America’s struggle to come of age on issues of race, class and opportunity. Winner, U.S. Documentary Special Jury Award, 2013 Sundance Film Festival. A co-production of Rada Film Group, ITVS and POV’s Diverse Voices Project, with funding provided by the Corporation for Public Broadcasting (CPB). Part of American Graduate: Let’s Make It Happen, made possible by CPB. Produced in association with American Documentary | POV. A co-presentation with the National Black Programming Consortium. To coincide with the POV documentary, Spiegel & Grau will publishPromises Kept: Raising Black Boys to Succeed in School and in Life, by Joe Brewster and Michèle Stephenson with Hilary Beard. Where American Promise raises provocative questions, Promises Kept delivers answers, combining insights Brewster and Stephenson derived from their own experiences with the latest research on closing the black male achievement gap, providing readers with an unprecedented toolkit full of practical strategies from infancy through the teenaged years. Check out the trailer below and please support this very important project.